In the residential community of Corinth, it is important that homeowners have access to a high quality of living and reputable businesses to meet their needs. At Action Garage Door, we work hard to ensure that is always the case. We are a leading garage door repair and installation company in Corinth, with more than 30 years of local experience in the Dallas – Fort Worth area. For those who need fast, reliable garage door repair, our team is the first one to call. At the heart of our service at Action Garage Door is to provide our customers with reliable repair service. Many people don’t think twice about their garage door until it stops operating as it should – and that often leads to the problems. We recommend an annual inspection from our licensed and trained professionals to ensure your door continues to work well. However, we know repairs happen even in the best situations. Our repair services are fast and reliable. 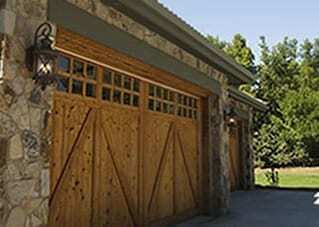 We offer a 1-hour emergency garage door repair service – if you need help right now, call us. We’re available 24 hours a day for garage door repair. Don’t try to make the repairs yourself. Instead, allow our experienced and well-trained professionals to arrive at your home to get the door open or shut so you can get on with your day. Let our technicians help you to determine which door style is best for your home and your budget. We also offer residential and commercial garage door openers. The routinely can help you with nearly any make or brand you currently have or help you find a new one. Why Choose Action Garage Door for Your Needs? Our Corinth garage door repair and replacement service is like no other. 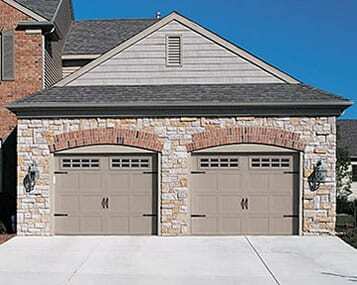 We offer competitive, low pricing on all of our garage doors and services. Yet, we stand behind our work 100 percent. And, we ensure you have accesses to the longest warranties available for your garage door. Now is the perfect time to give our team a call. We’ll offer a FREE, no obligation estimate on any garage door repair or new garage door installation when you give us a call. Our Corinth garage door team is ready to speak to you. Action Garage Door is dedicated to top-notch service every time you need us. A city in Denton County, Corinth offers a mostly residential life with a wide range of amenitiesincluding parks, open green space and plenty of activities. It is a suburb of Dallas and easily accessible from throughout the Dallas – Fort Worth area. Corinth spans about 8 square miles and is home to over 20,000 people. Like many of the cities nearby this community is growing rapidly. There are nearly 6900 households in it, with about 43 percent having at least one child. The average household income is $85,170 with per capita income of $34,600. The cost of living in Corinth is 104.2 out of a base of 100. This indicates that Corinth is a bit more expensive to live in than other cities in the Dallas – Fort Worth area. The average studio apartment here costs about $667 per month compared to $652, the average for the region. The average two-bedroom home rental costs about $986 compared to $960. While still affordable, Corinth is an up and coming community with many upscale homes. Many of those that live in this community live in single-family homes. The average listing price of a home is $314,800, as of May of 2017. The area only has a small number of homes for sale, though, which is one of the factors that has led to increasing home values here. Those who live in the community will have access to either the Denton Independent School District or the Lake Dallas Independent School District. The community is also home to two locations for the North Central Texas College. The City of Corinth is one that’s mostly residential and green space, with numerous parks and sports facilities throughout it. The community has a full Recreation Department that offers adult and children programs, various parks, and a summer camp. The Lake Cities Chamber of Commerce provides for locals and businesses to take full advantage of what this community has to offer. As mostly a residential community, there are few businesses or hot spots for visitors. However, Corinth Community Park and Meadowview Park offer some outstanding sports fields and areas for walking and biking. I loved that they came out right away as soon as I called to fix my garage door. The technician was very knowledgeable and completed the repairs in a timely manner. Brian did a great job. Very friendly, fast, and professional!! Your tech Brian was punctual. He arrived at the schedule time of the appointment. Brian was courteous and professional. He promptly fix our garage spring. Overall it was a pleasant experience and I am very satisfied with your service.